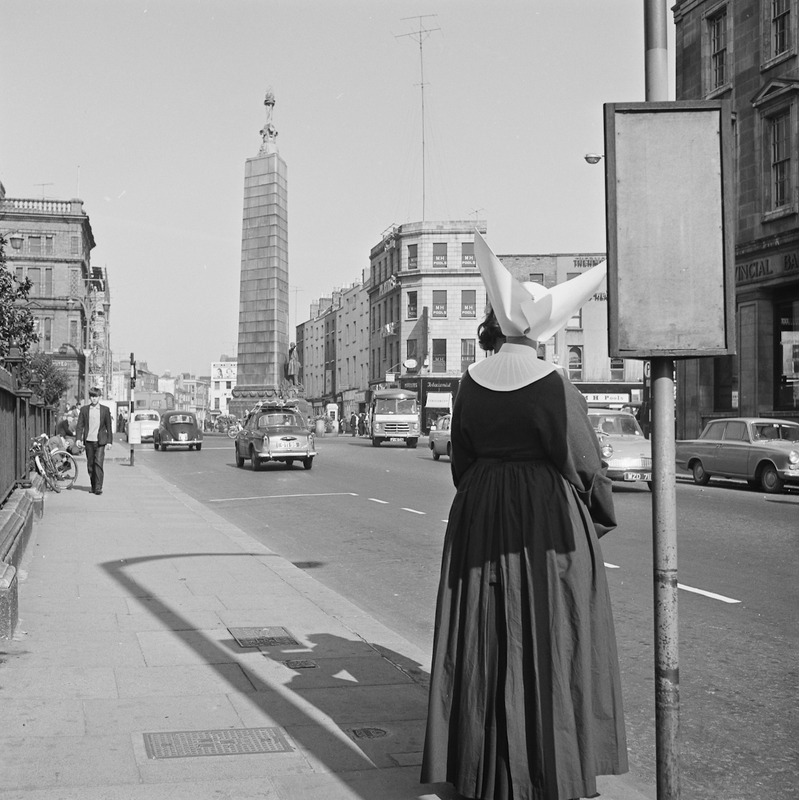 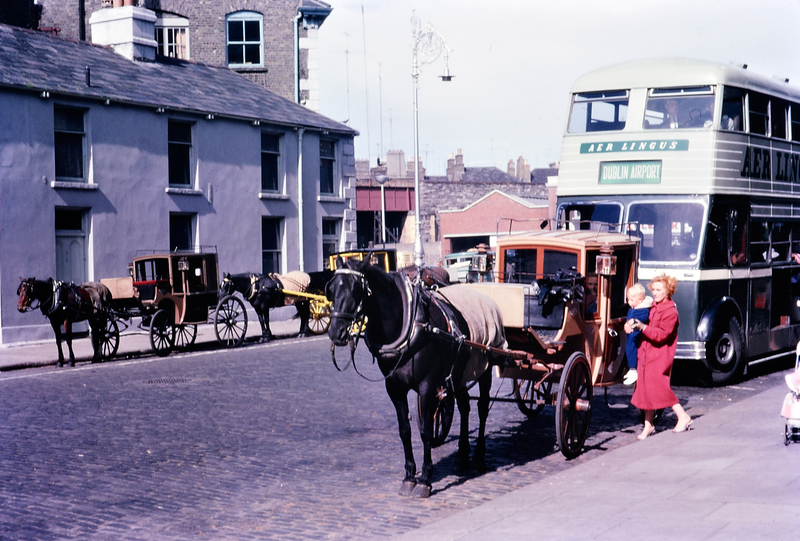 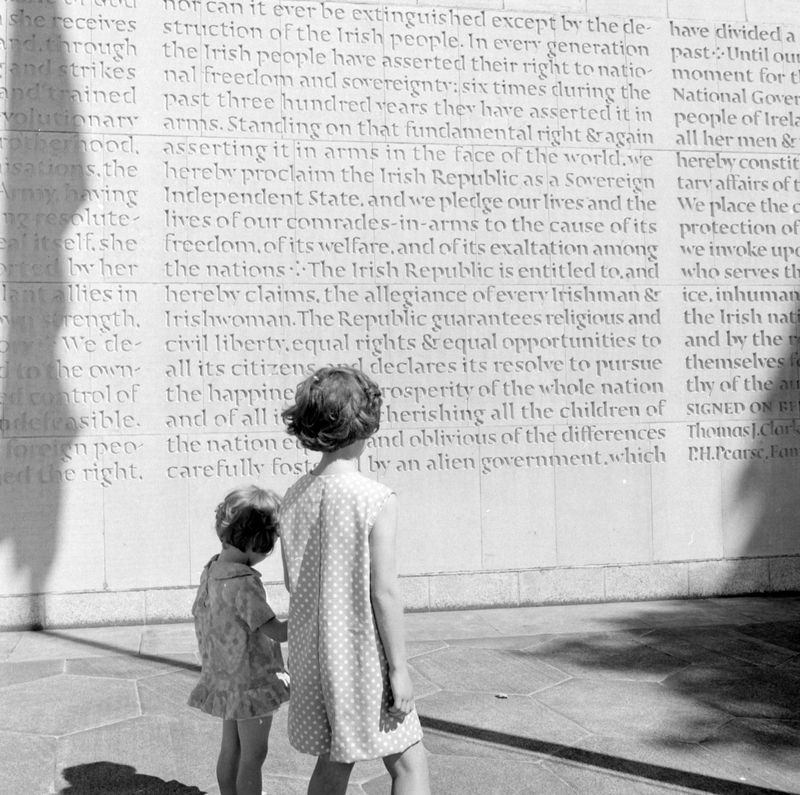 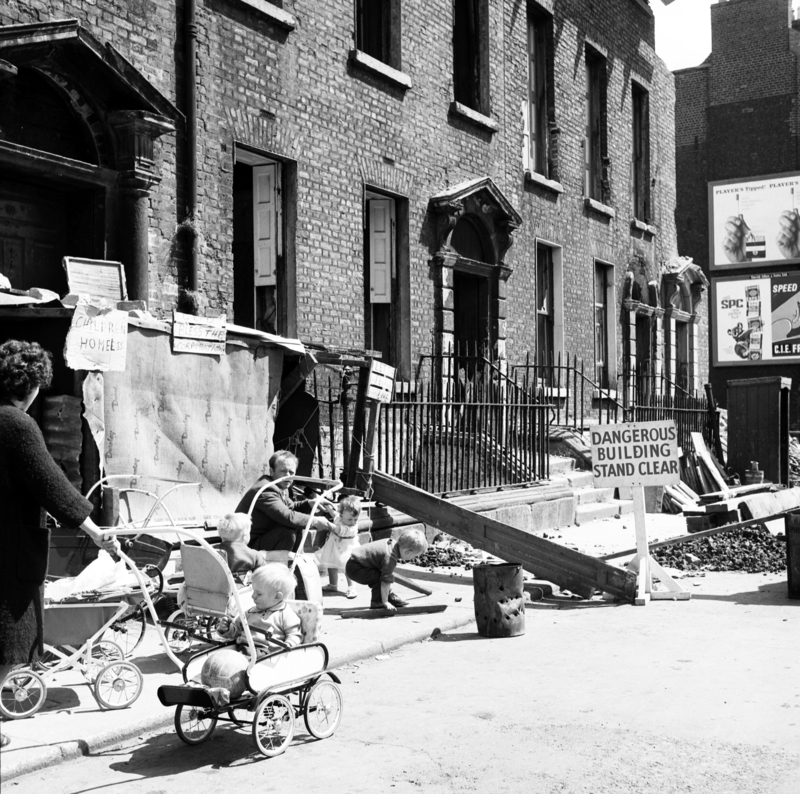 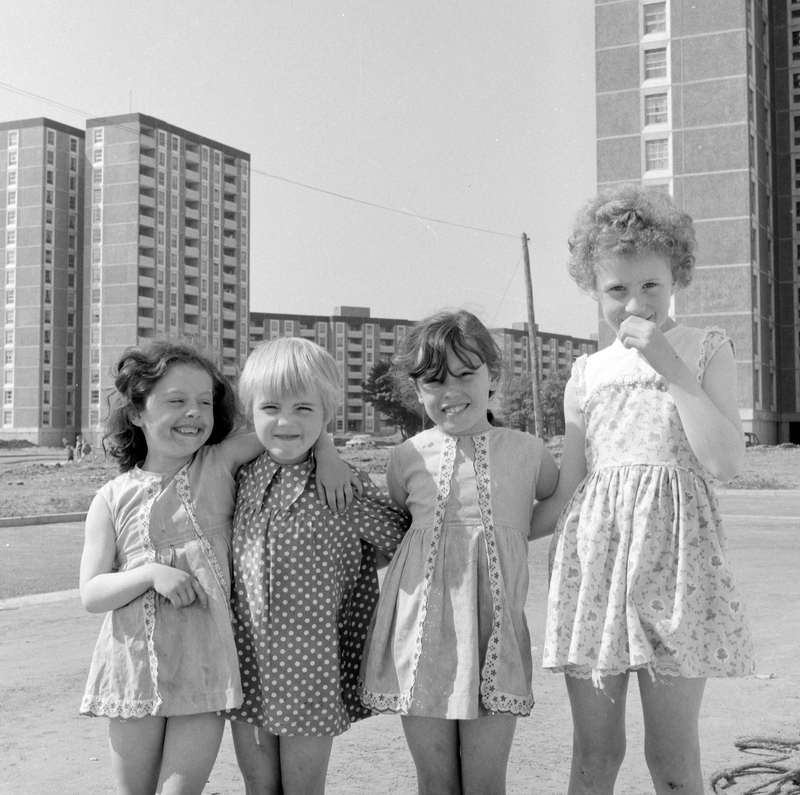 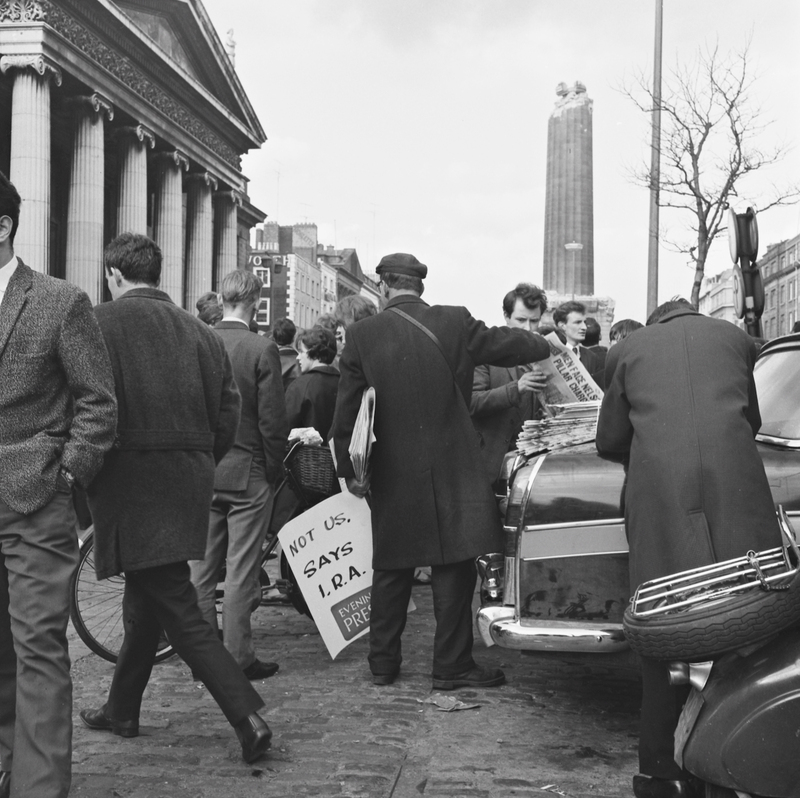 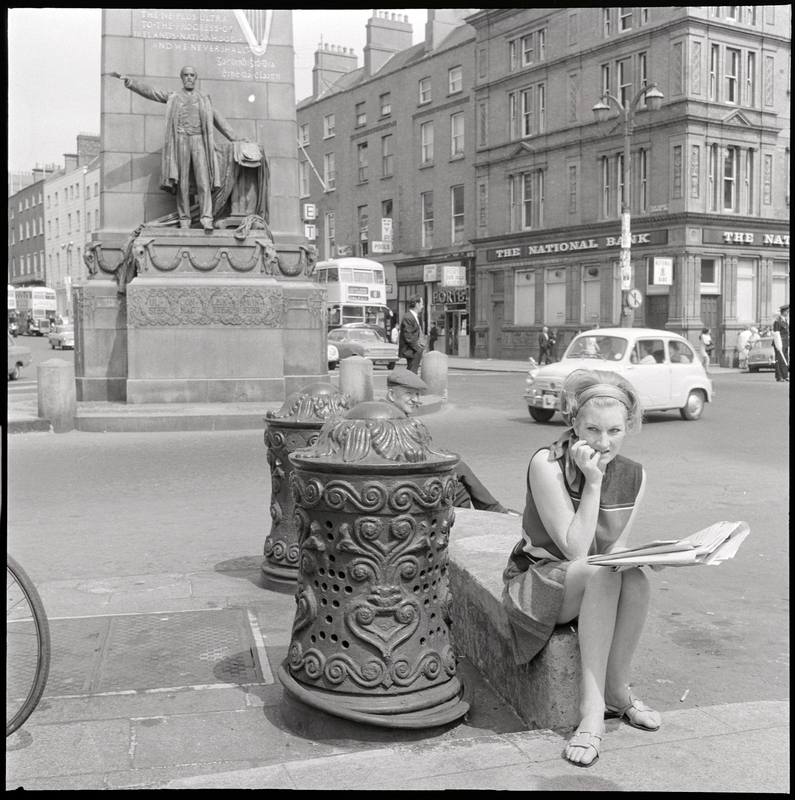 The National Library of Ireland is home to a terrific collection of snapshot depictions of 1960s Ireland. 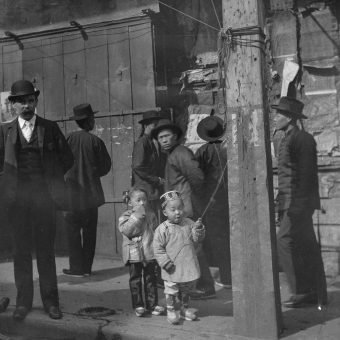 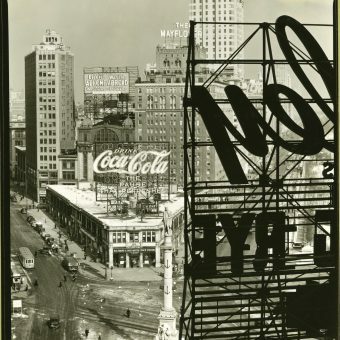 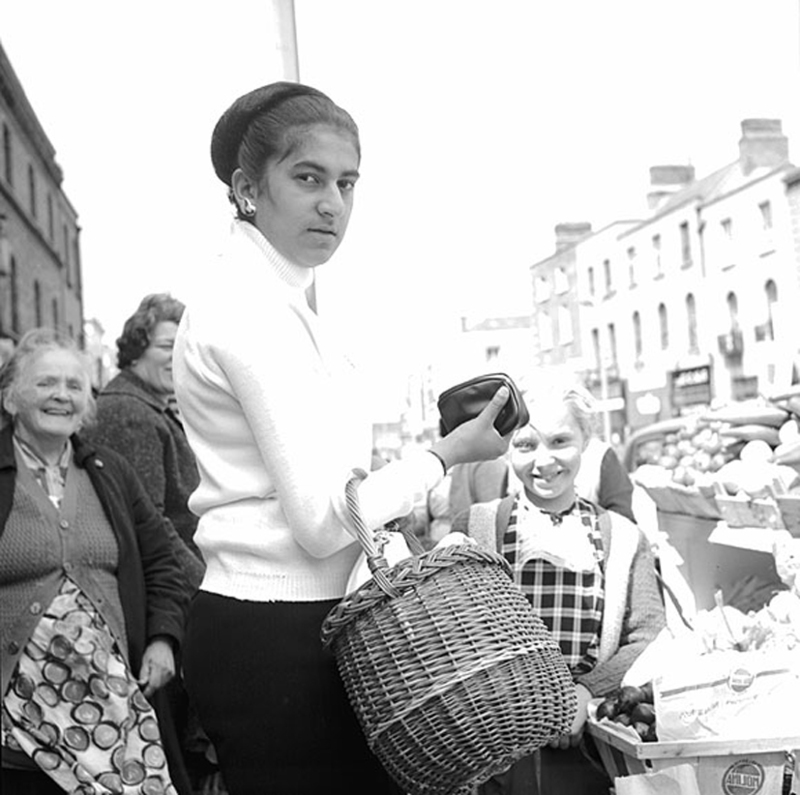 Thanks to readers writing in we know the names of many of the faces in these photographs. 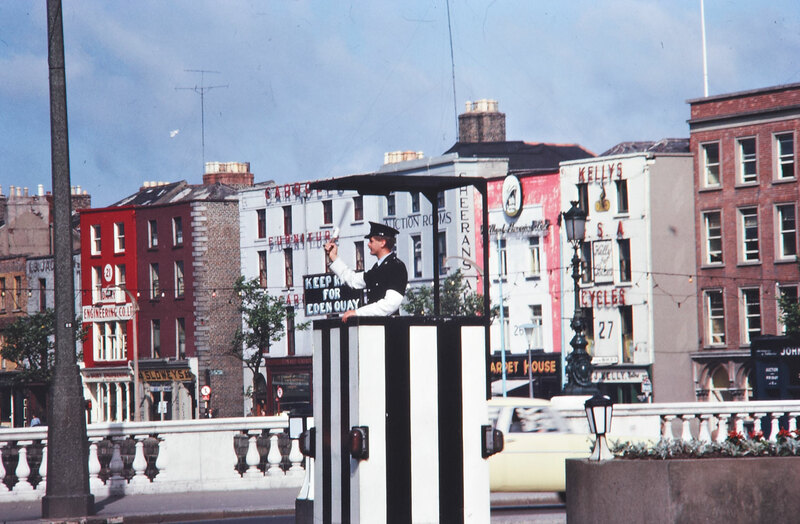 Dates and locations transport us to a vibrant Dublin city and the lush Irish countryside. 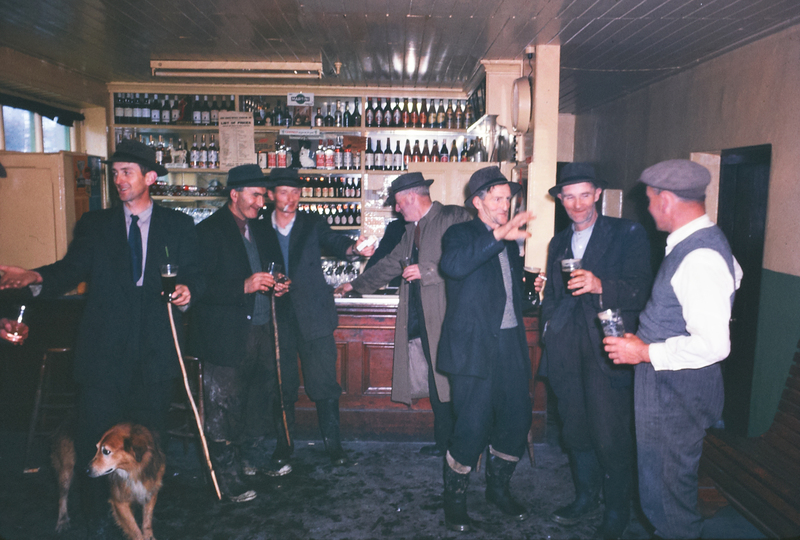 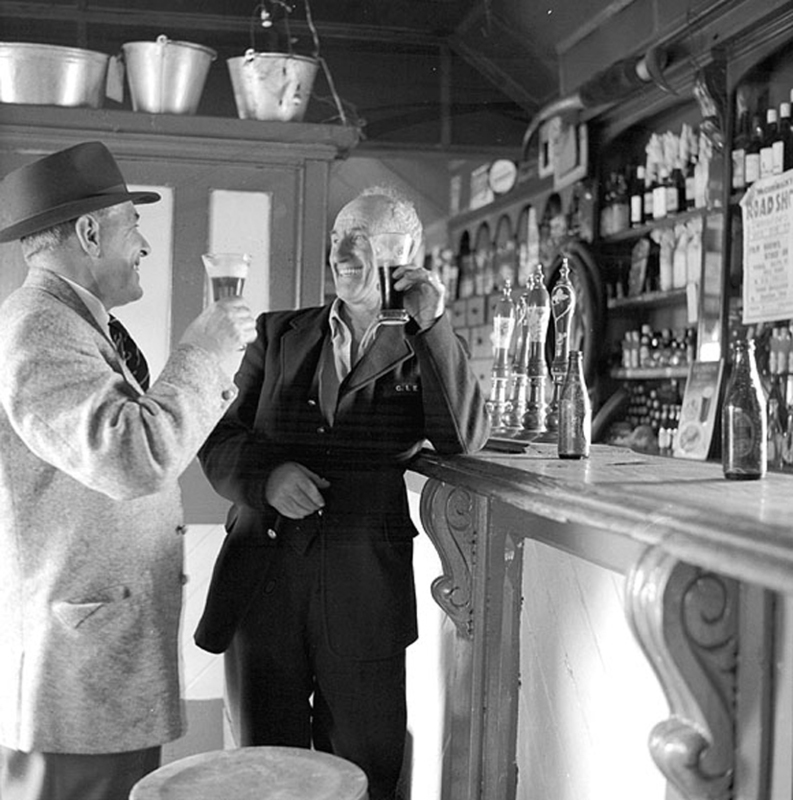 Patrick Sullivan’s Bar, circa 1963. 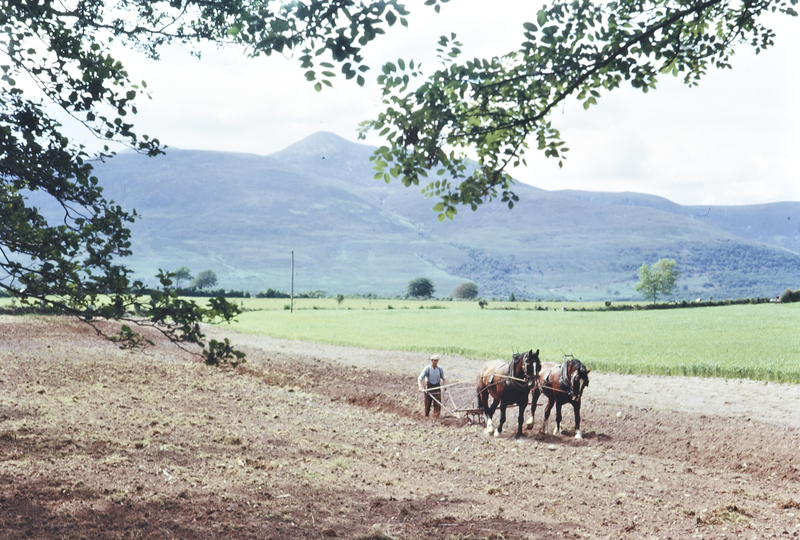 Kilfree Junction, Co. Sligo. 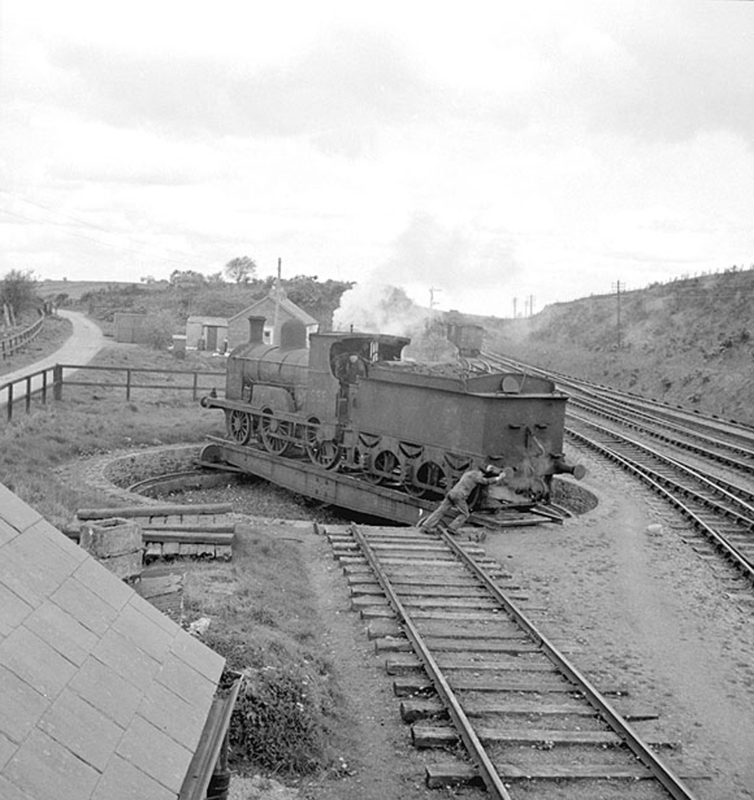 A man pushing a steam train round a turntable. 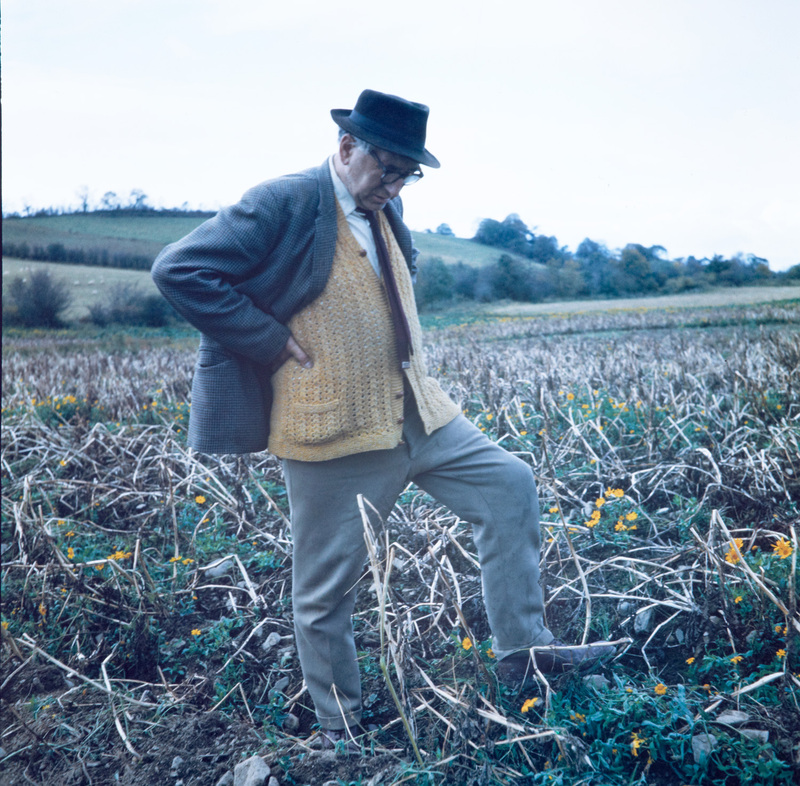 Poet Patrick Kavanagh eyeing the stony grey soil of Monaghan at his native Inniskeen. 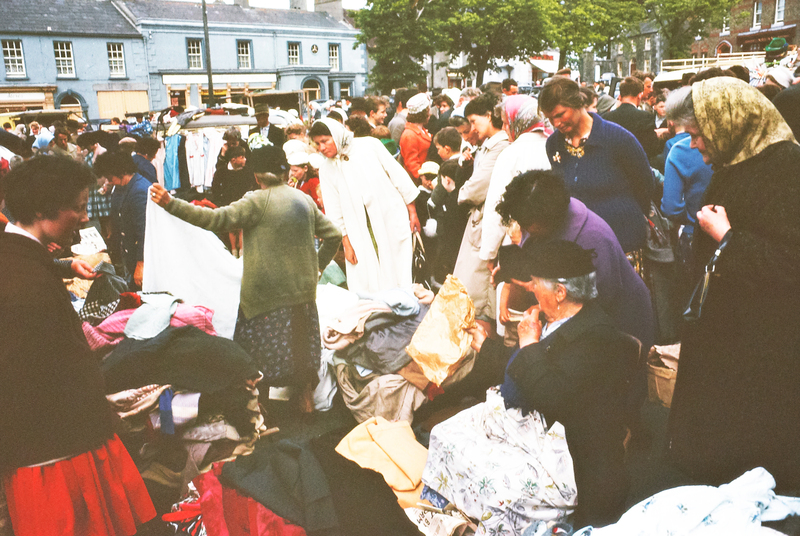 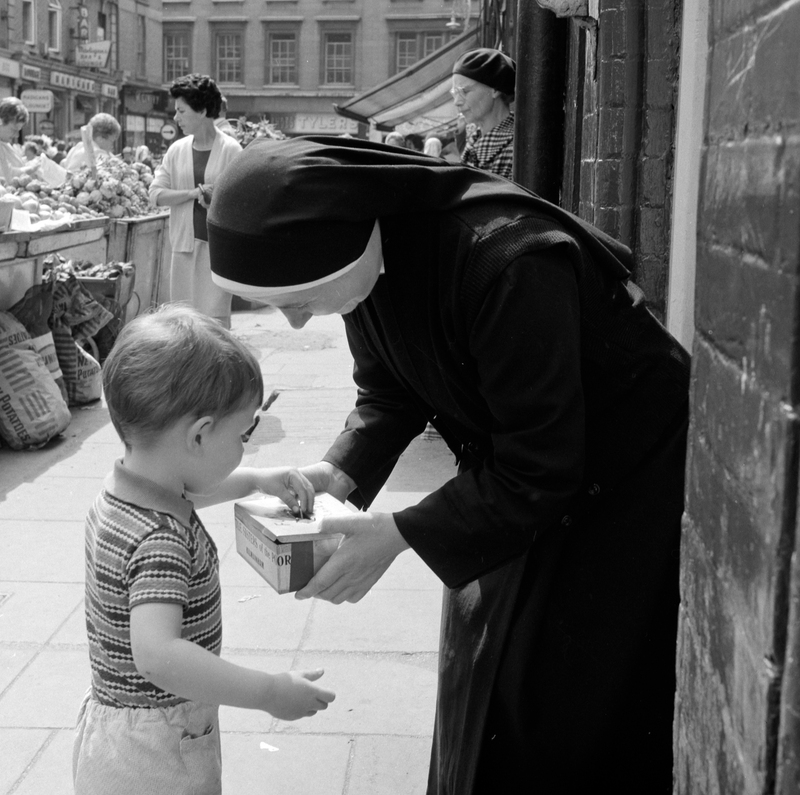 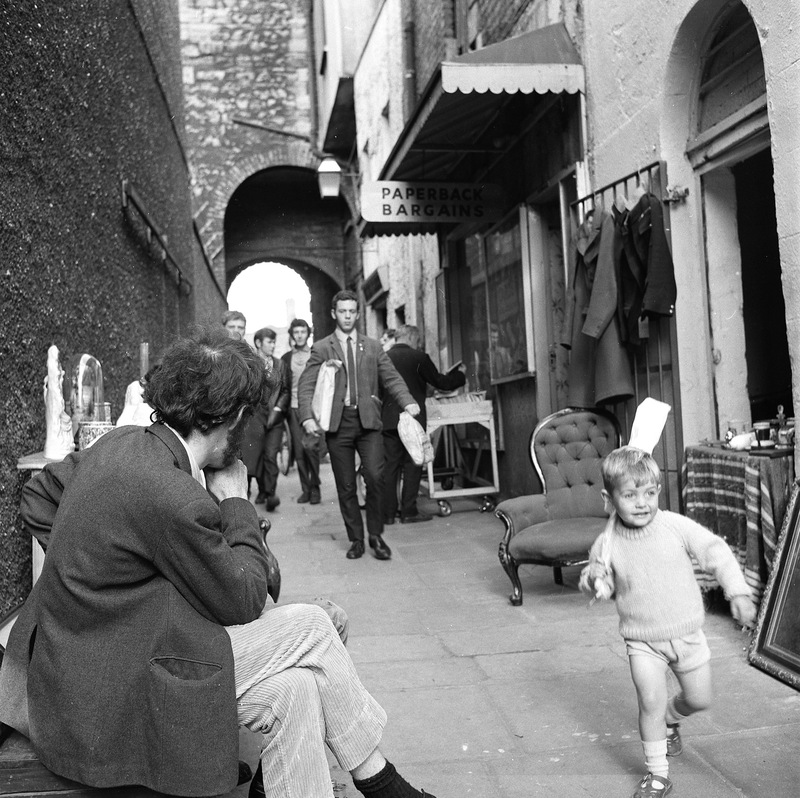 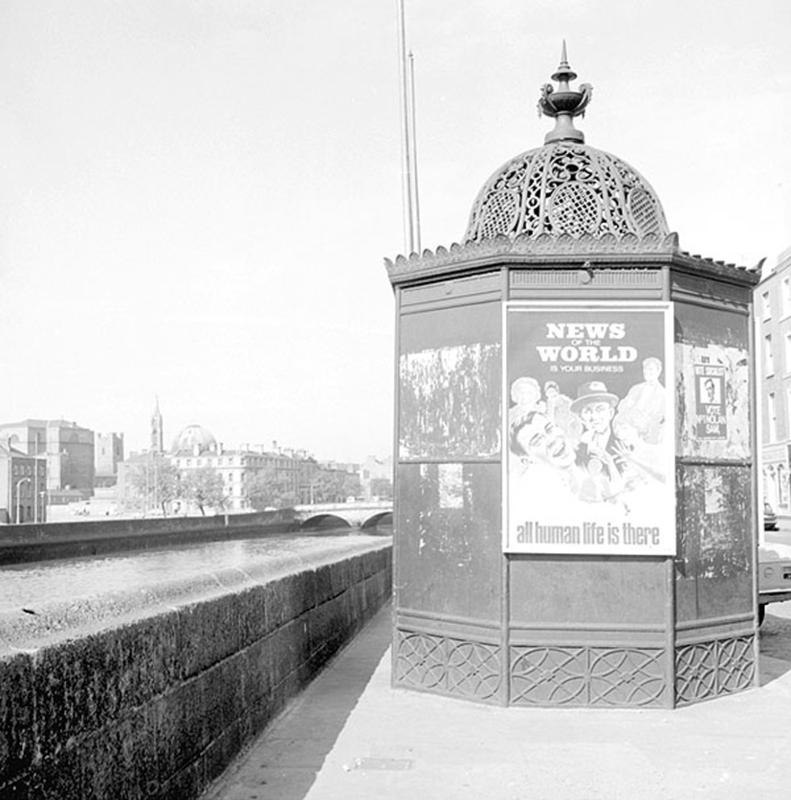 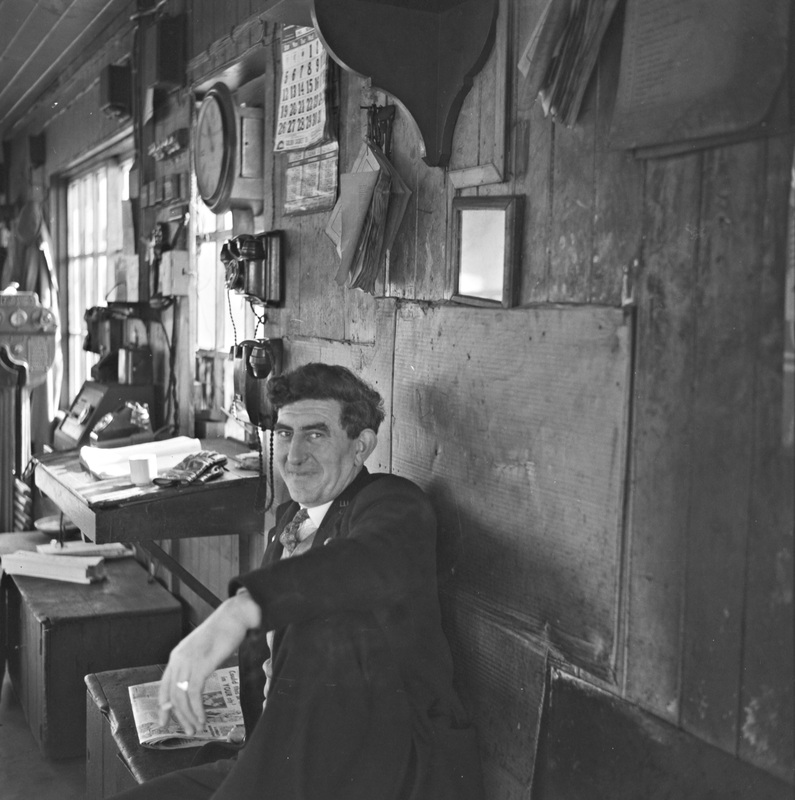 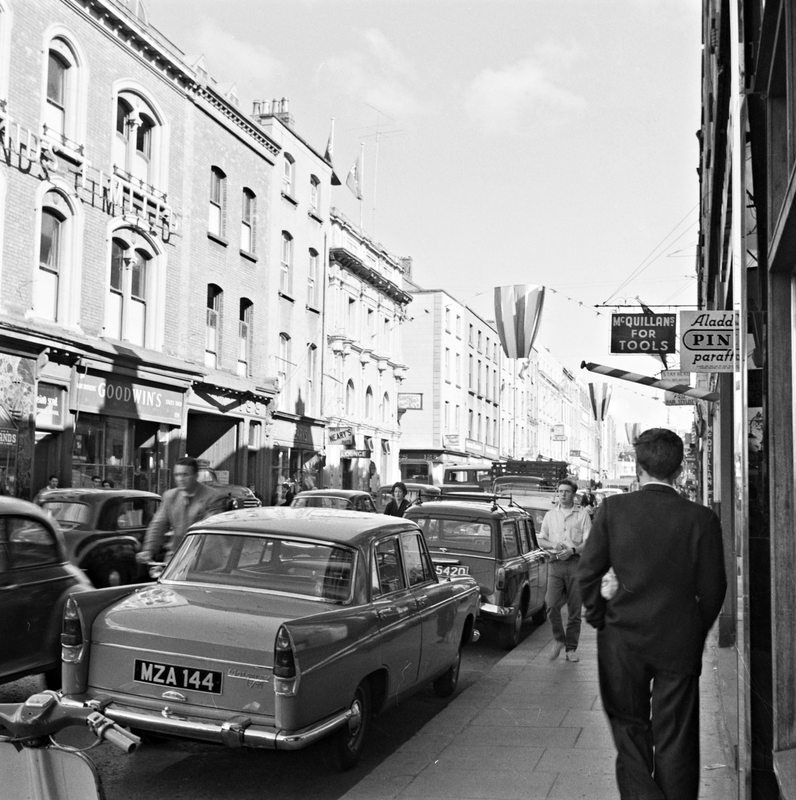 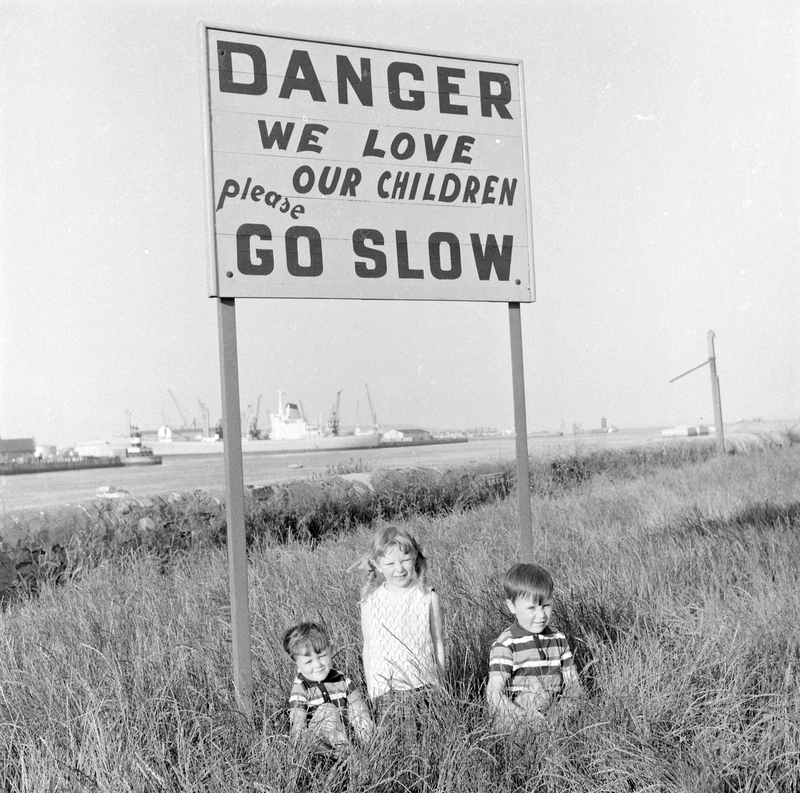 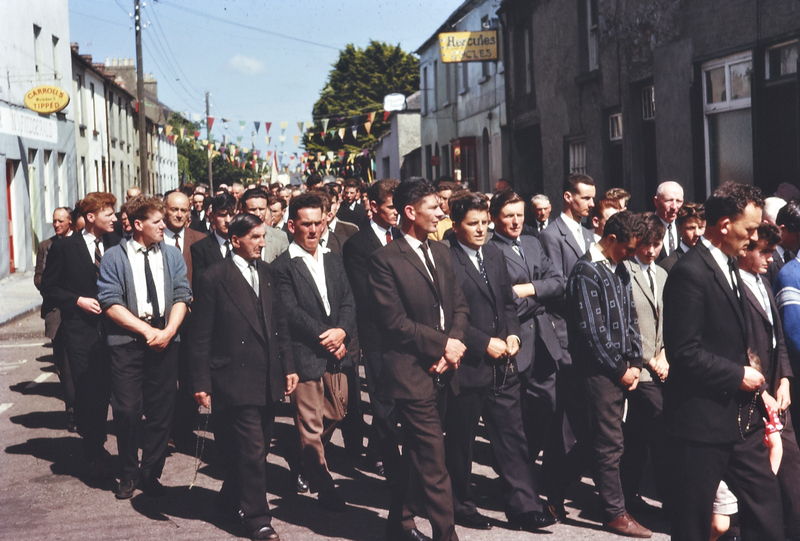 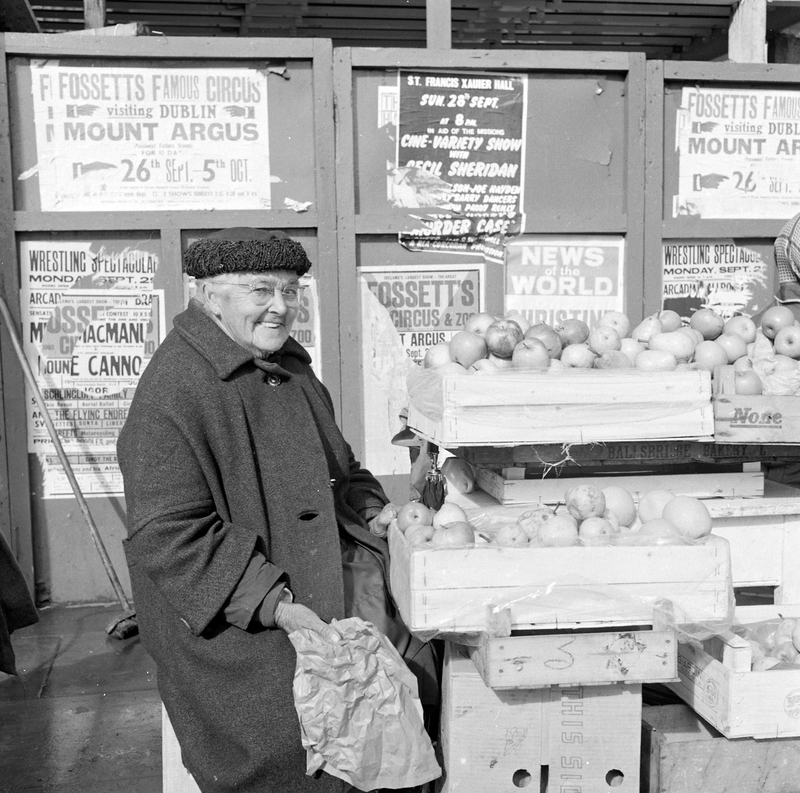 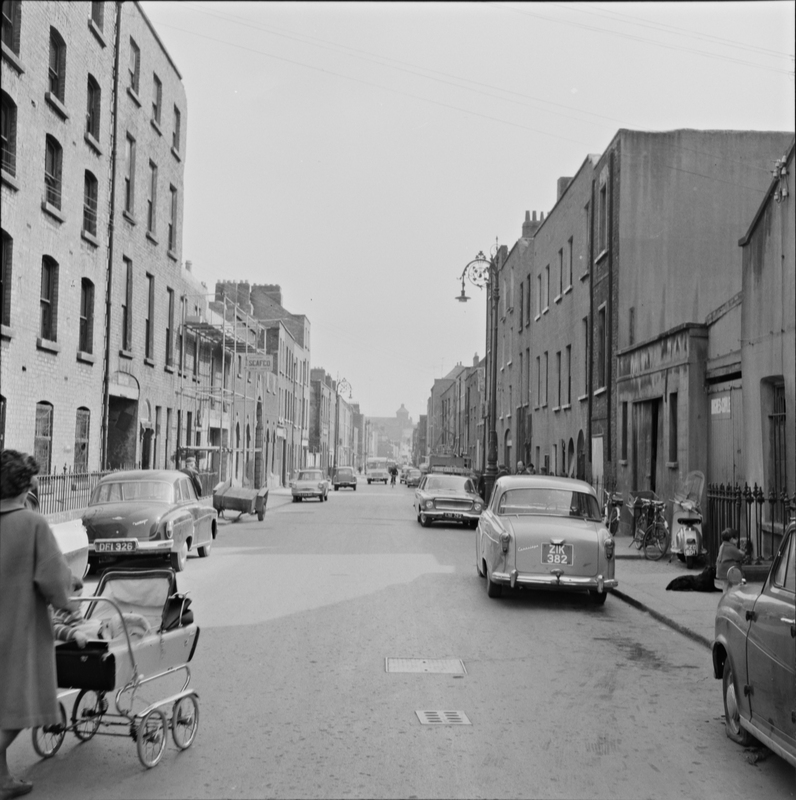 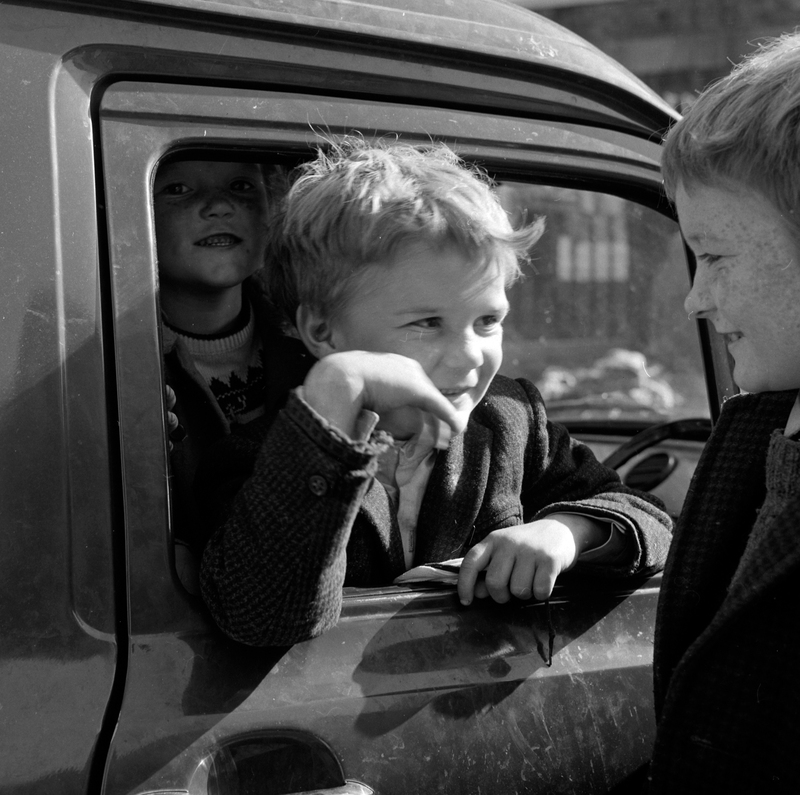 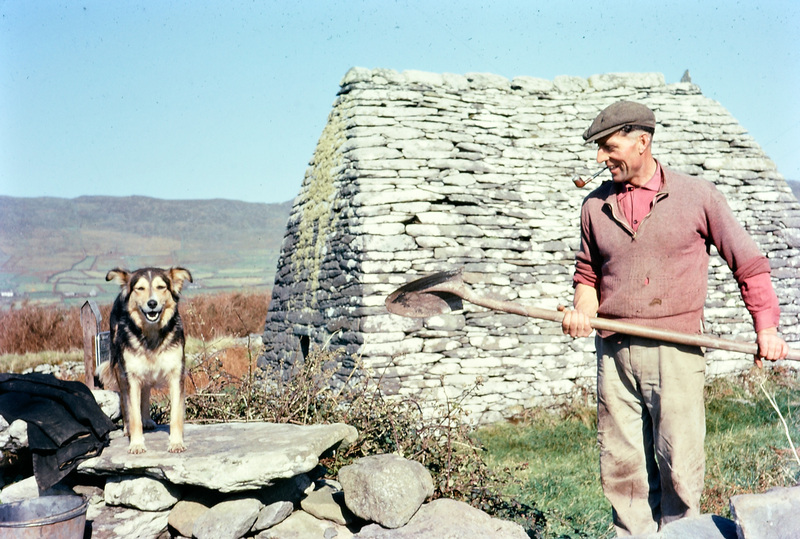 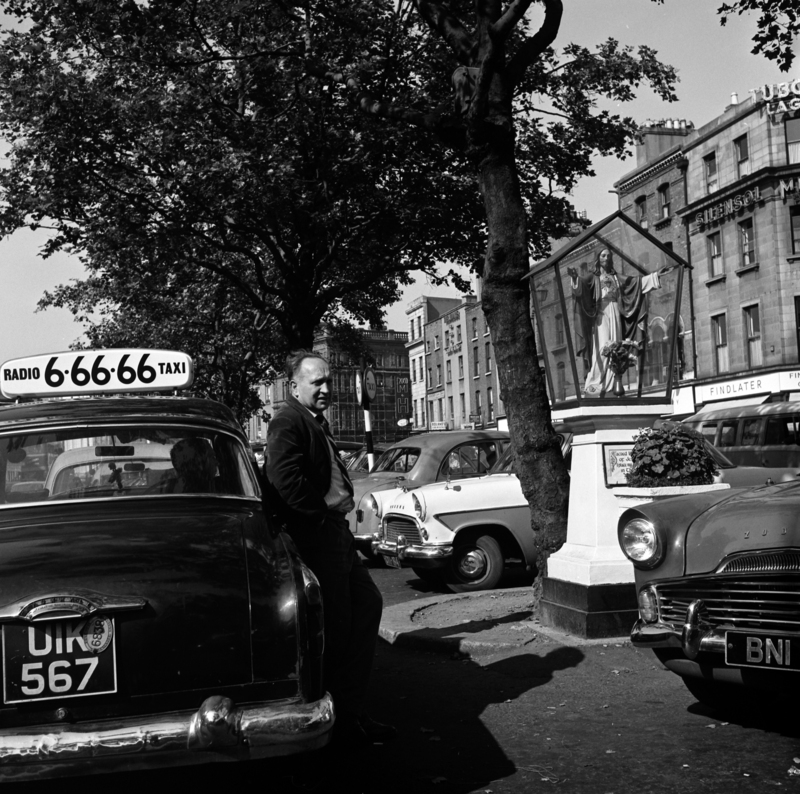 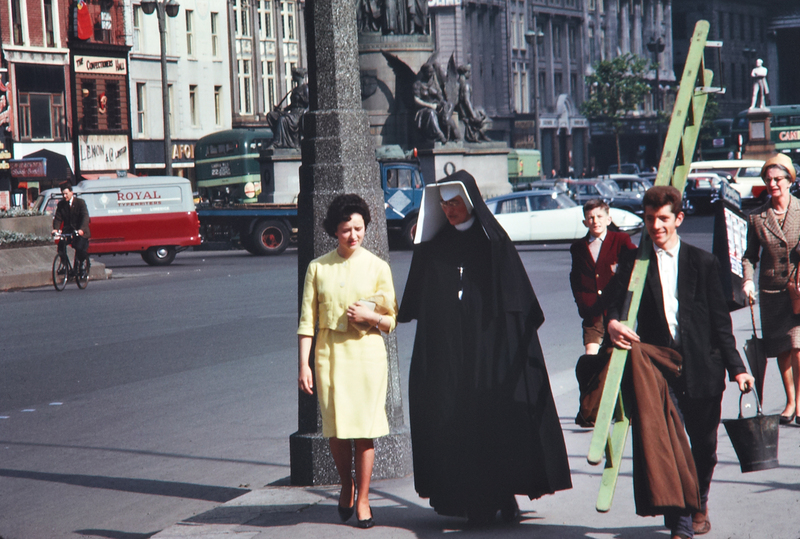 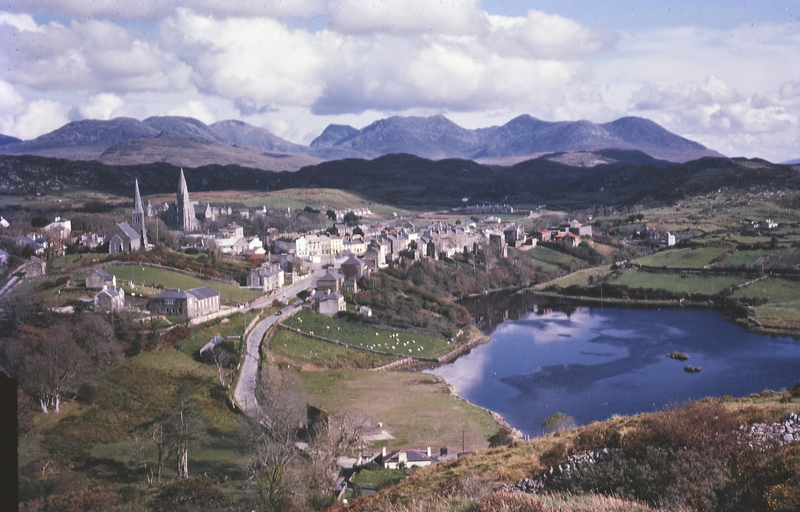 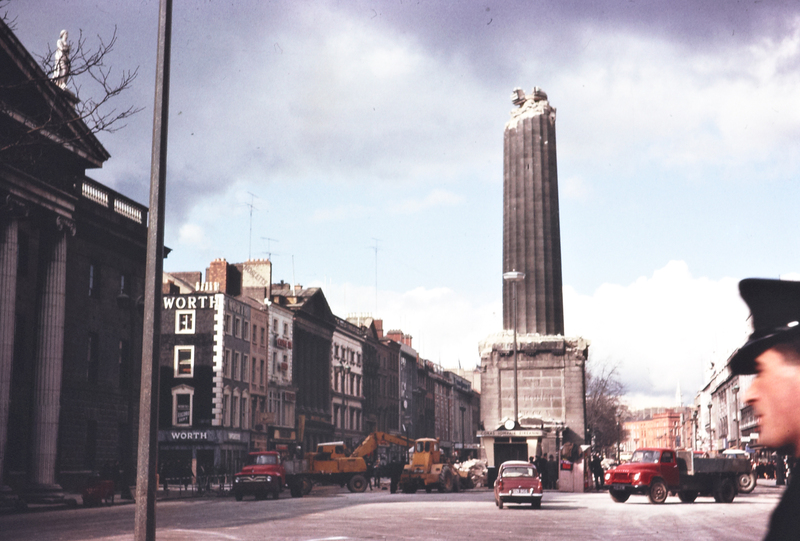 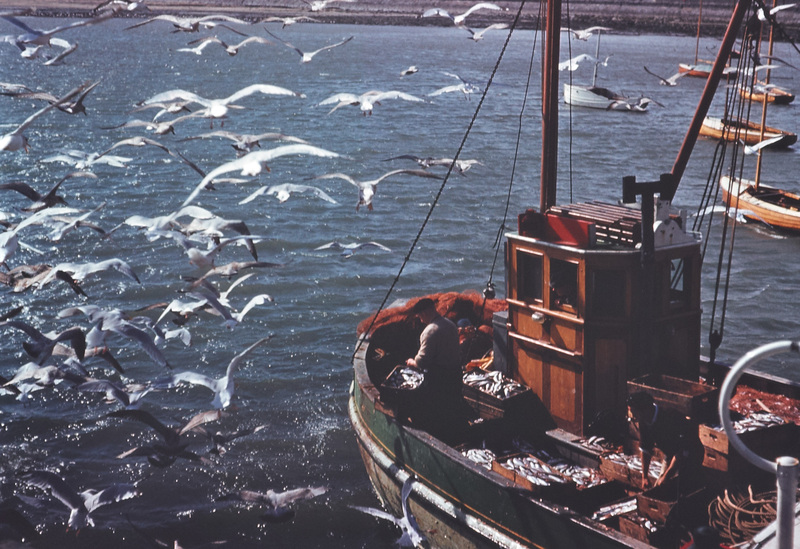 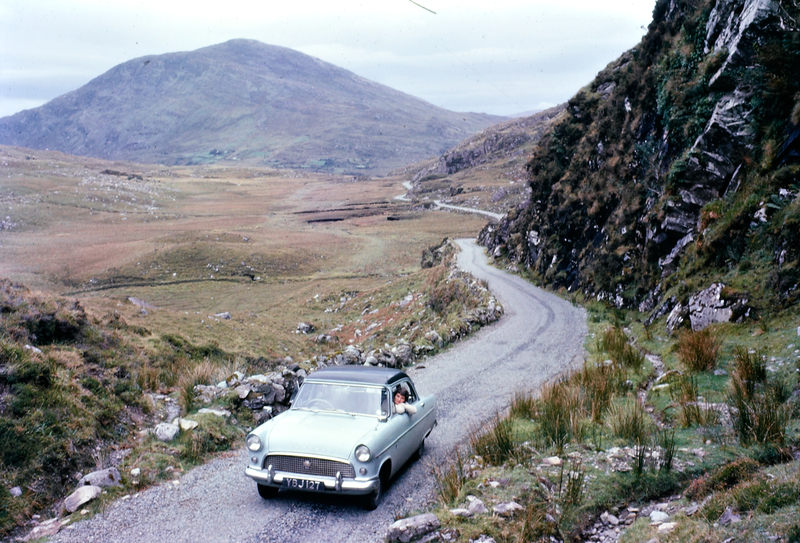 Many images in this gallery of 1960s Ireland were taken by Elinor Wiltshire (née OBrien), a Limerick-born photographer raised on Foynes Island in the Shannon Estuary, Elinor was educated at home until a teenager, before attending Newtown School in Waterford. 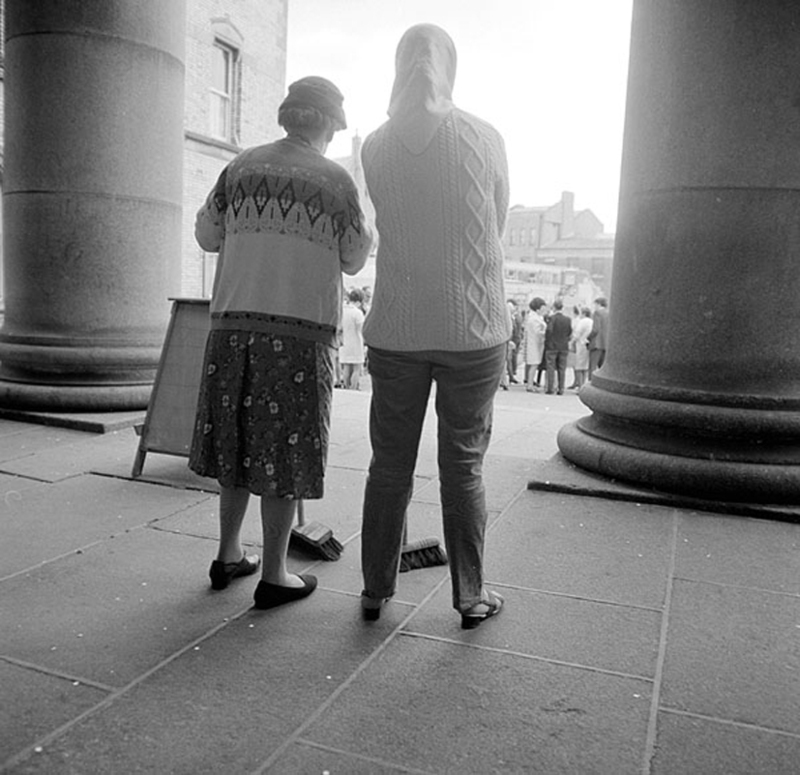 After Reggie’s death in 1968 and following on from their interest in photographing Irish antiquities, Elinor spent six weeks in Ethiopia in 1971 taking photographs of early Christian churches – she met the emperor Haile Selassie while there. 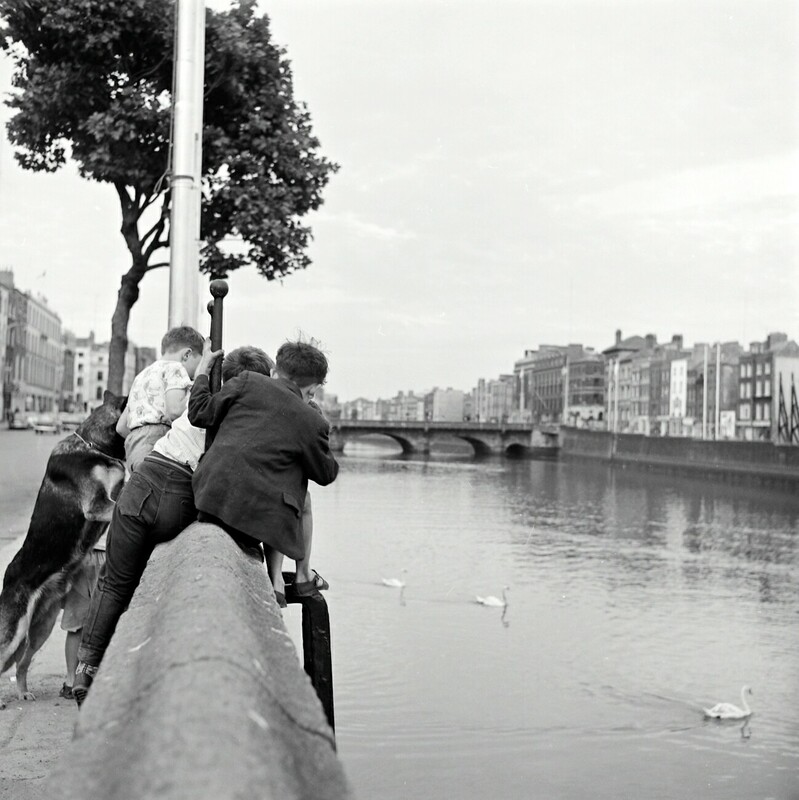 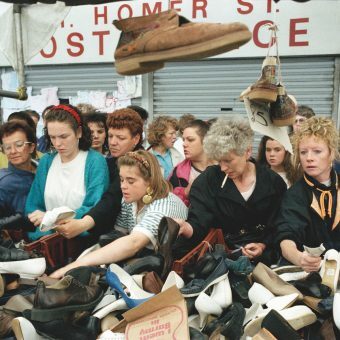 Those pictures were exhibited in Dublin. 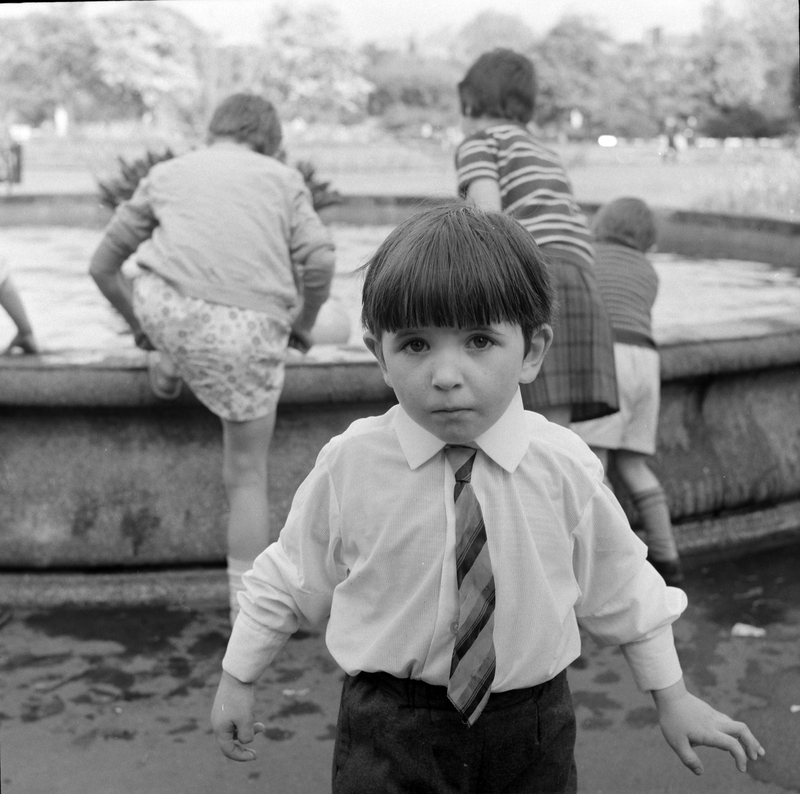 Elinor moved to London later in 1971. 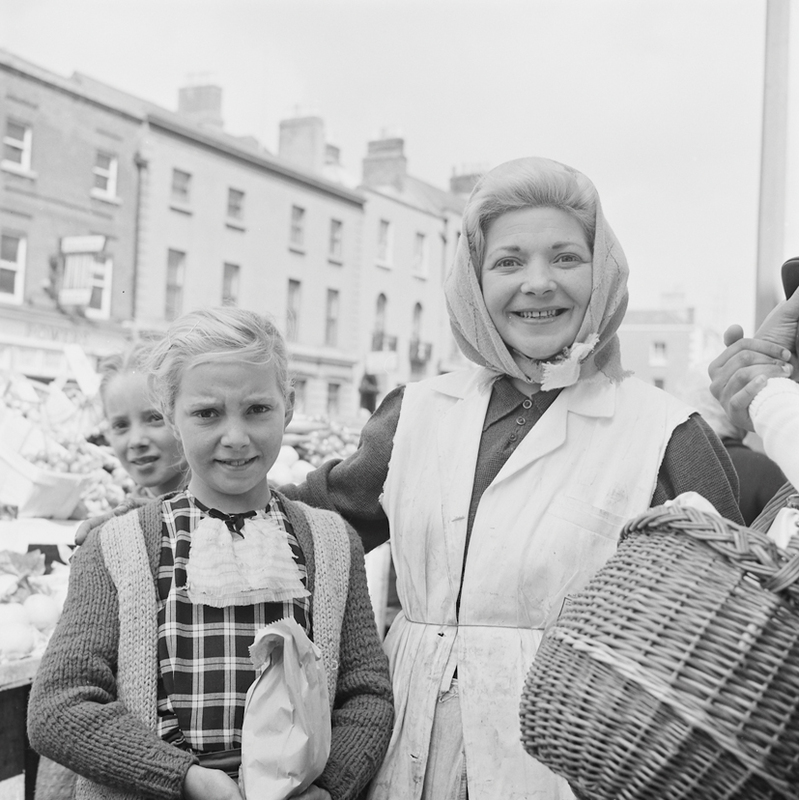 She worked for Intourist from 1974 to 1983, arranging specialist tours to the Soviet Union, helped by her knowledge of the Russian language. 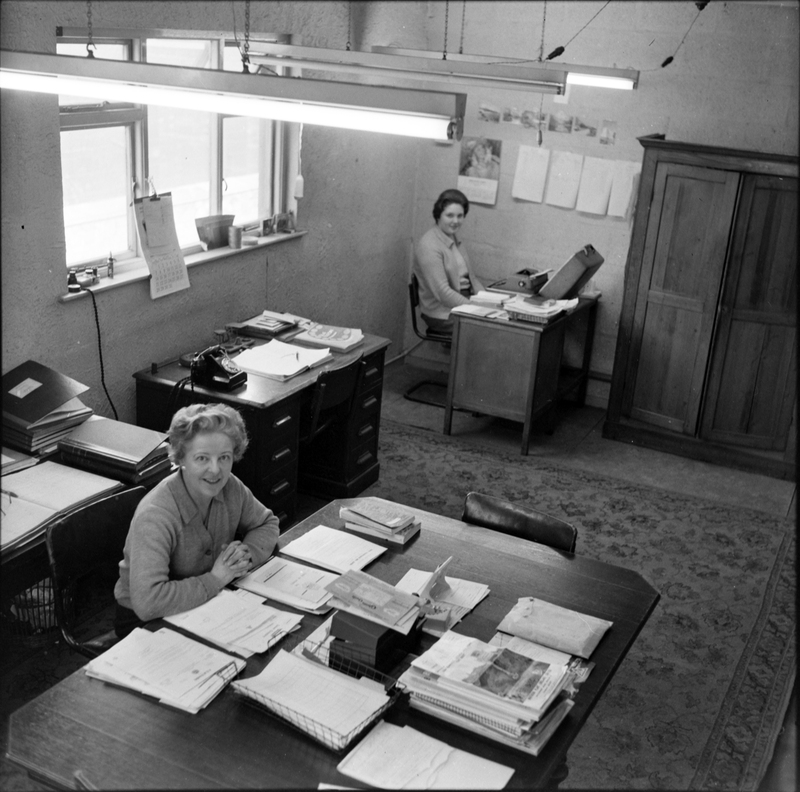 Elinor lived in London for 40 years… She took up botany seriously at the age of 70… She was an active member of the London Natural History Society and took part in their detailed survey of Buckingham Palace gardens in the mid-1990s. 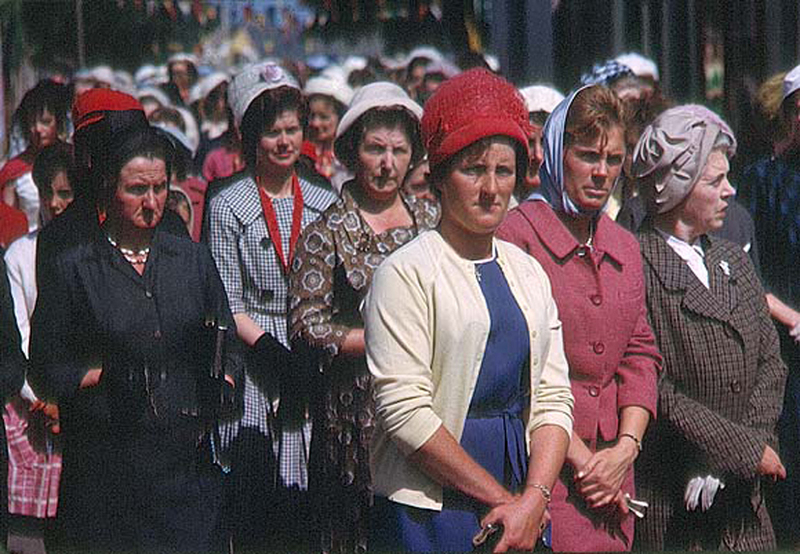 Women taking part in a Corpus Christi Procession in Cahir, Co. Tipperary. 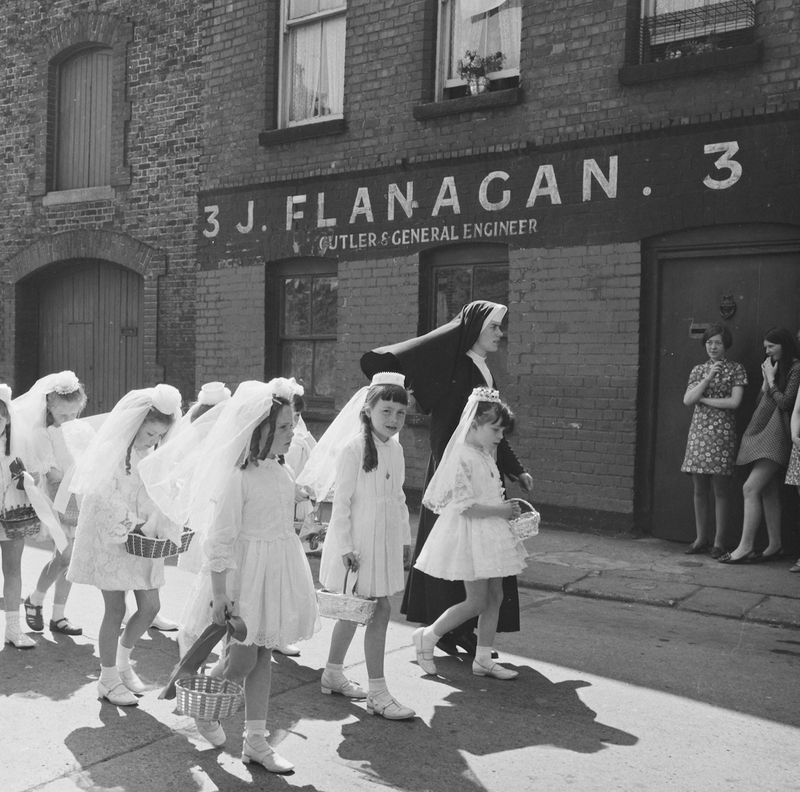 March 23, 1963. 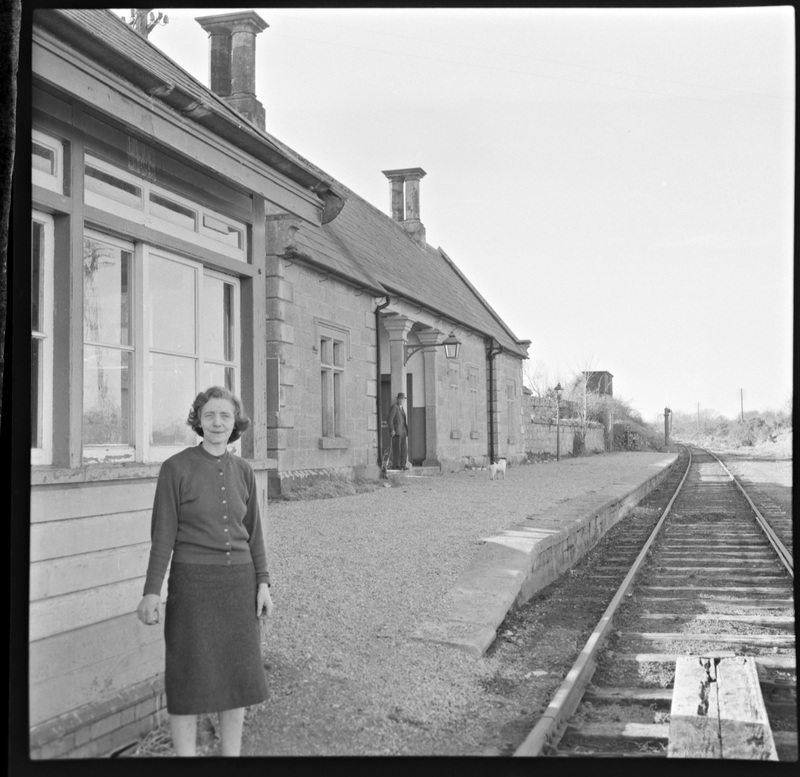 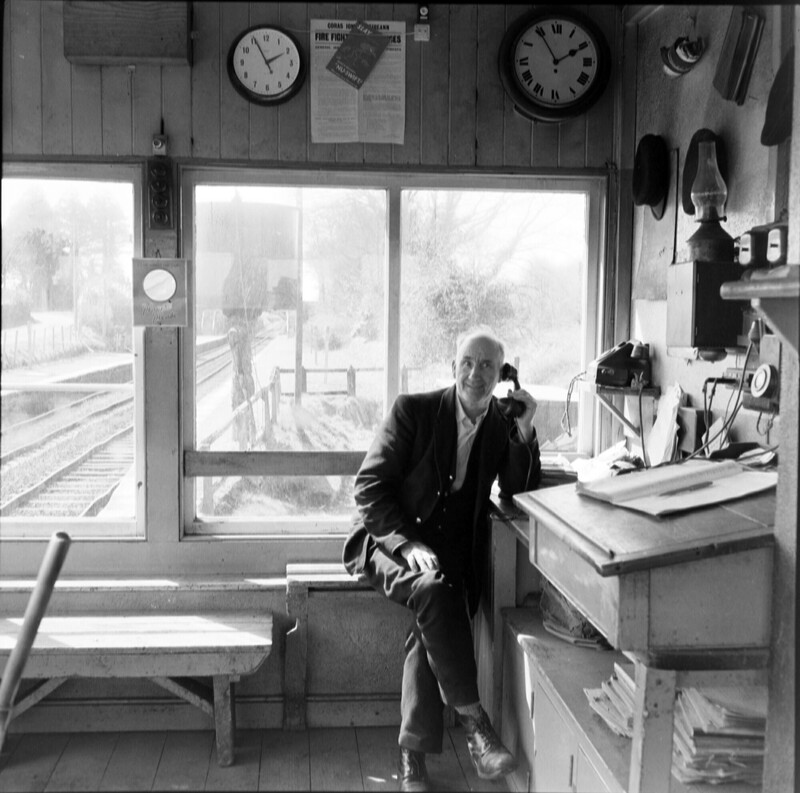 ‘This is Mrs Lawlor, pictured at Borris Train Station in Co. Carlow… This photo was taken just days before this train station closed forever on 1 April 1963’. 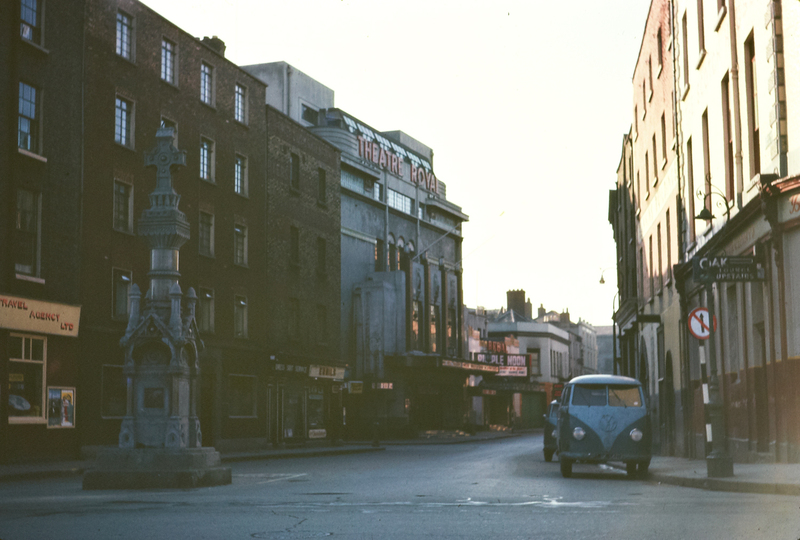 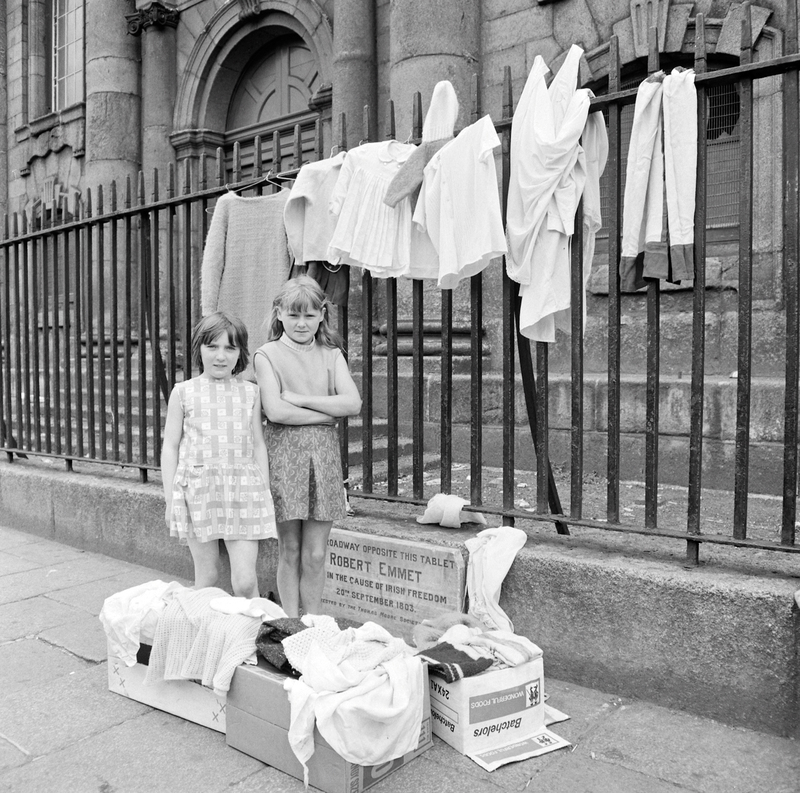 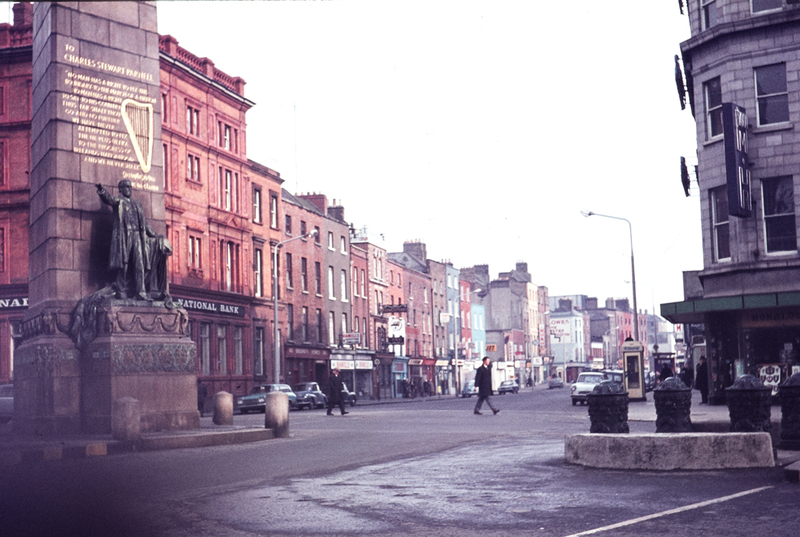 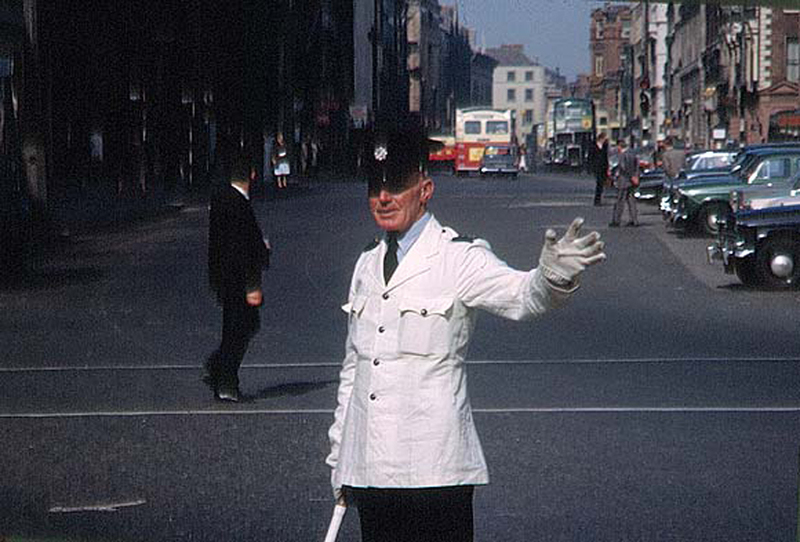 Outside the National Bank, Dublin, June or July 1969.